The Chardonnay is the king ! Nestled between les roches de Solutré and Vergisson in the heart of Macon, the domain produces white wines, starting with the Pouilly-Fuissé. 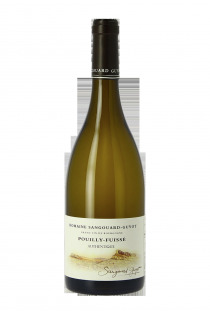 The Sangouard family is present in the vineyards of Pouilly-Fuissé since the eighteenth century. 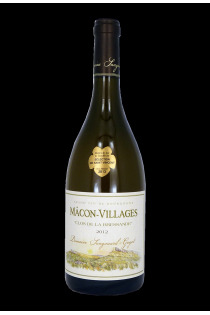 In 1997, Pierre-Emmanuel Sangouard takes the domain, before adding in 2000 the vineyards from the domain Guyot of his wife Catherines family. The couple operates over 11 hectares, between les roches de Solutré et de Vergisson. 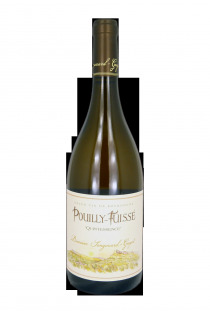 A vast majority of the production is devoted to the Pouilly-Fuissé cru, with 9 hectares planted in Chardonnay. The domain elaborates 3 cuvées. On the ground, the treatments are reasoned, the vines are plowed and the harvest is done by hand. The wines are aged on the lees for a period of 10 to 12 months, with the aim of bringing fatness and opulence.